Each year, The Economist releases its list of the world's most livable cities – and for three years now, Melbourne in Australia has earned the number one spot. We got to thinking, there must be something we're not seeing – certainly, we thought, it has nothing on Sydney's rich culture, or the Gold Coast's beautiful beaches, but after a little digging, we uncovered a few reasons why we think it's made it to the top, year after year. From high-end eateries to cheap, delicious street food and ethnic neighborhoods, Melbourne has something for everyone when it comes to dining out or grabbing a drink. If you're looking for neighborhoods to hone in on, consider this: the city's Chinatown is ideal for finding authentic dishes at great prices; the suburb Richmond has great Vietnamese food; also right outside of the city, Carlton is known for its Little Italy; and Fitzroy is where you'll find Spanish restaurants. For an incredibly unique (and admittedly kind of kitschy) restaurant experience, board The Colonial Tramcar Restaurant. Refurbished tramcars (the first restaurant of its kind) take you around downtown and surrounding suburbs as you enjoy a three- to five- course meal. Meanwhile, the Spanish-born chef at wine and tapas bar Movida is said to have single-handedly introduced Spanish cuisine to southern Australia. If you're looking for an after-dinner drink spot, the laneways are where it's at. New bars and cafes are popping up everyday, though the majority aren't clearly marked. For instance, to get to Madame Brussels you have to take an elevator up to their rooftop bar. If you wind up in St. Kilda at night, check out Strange Wolf – located at the end of a laneway and in the basement of a building. Whether you're looking for street art or upscale galleries and museums, Melbourne has plenty of it – the city is home to more than 100 art galleries. First, explore the street scene in the city's laneways; graffiti murals paint Hosier Lane and Union Lane and Cocker Alley even features the work of the famous and elusive graffiti artist Banksy. 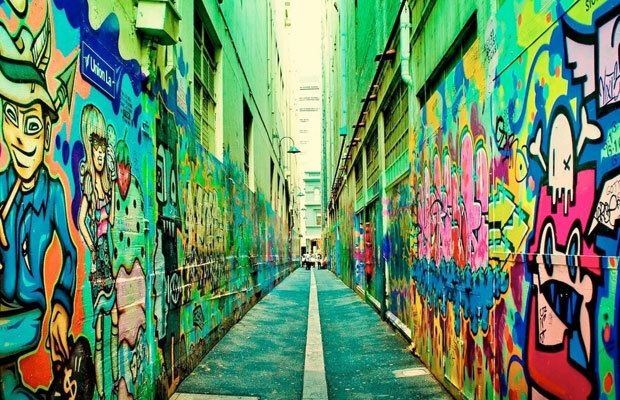 Also to be found in the laneways are some of the city's artist-run initiatives – Melbourne actually contains one of the world's highest concentrations of small commercial galleries. Flinders Lane is known as the gallery precinct of the city – it's there you'll find exhibitions of indigenous Australian art. Wander through nearby laneways to find other local painters, sculptors, and photographers trying to make names for themselves. If you're looking for a more structured look at the art scene in the city, head to one of the two locations of the National Gallery of Victoria, Australia's oldest public art gallery (founded in 1861). There you'll find everything from Asian art to exhibits on Australian impressionist artists in France – the museum holds over 68,000 works of art. Take a free guided tour of different exhibits throughout the year – just be sure to check their calendar of events for times. Admission is free, temporary exhibits may have a fee. Melbourne is said to be a city of sports buffs. With options like the Spring Racing Carnival, a huge horse racing festival from September to November complete with races, parties, and more; the Australian Grand Prix, the Formula One race held over four days in March; the Australian Open, which brings the world's best tennis players to the city in January; and countless Australian Football League games, we can't help but agree. 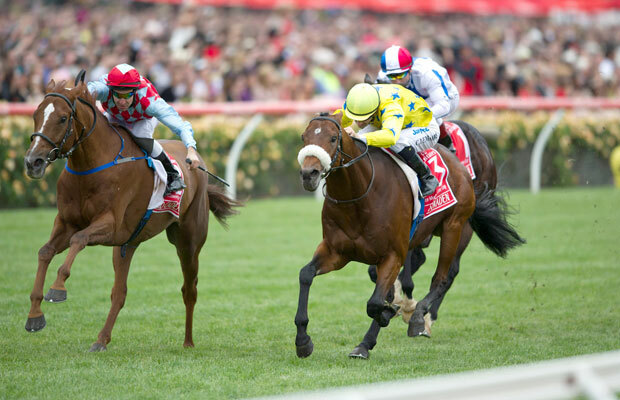 Australia's football season begins in March and culminates with the final at Melbourne's Cricket Ground in September. The Australian version of the sport originated in the city back in 1859 and has grown to encompass 17 teams across the country. It's said to be a mix of "the Irish game of ‘caid’, rugby, and traditional Aboriginal games such as marngrook." This year, the event is being held on September 28, with an expected attendance of 99,000 people. All locals like to complain about their city's public transit system, though it turns out that Melbourne's is quite reliable. If you're visiting the city, look into buying a myki Visitor Pack, which includes a pre-loaded fare for traveling in the city's Zone 1 (there are two) for a day (you can add money if you need more; works on trains, trams, and buses), a discount to popular attractions like the Aquarium, Eureka Skydeck, and more, and most importantly, a transit map. Buy one at the Visitor Centre, among other locations, for about $13. 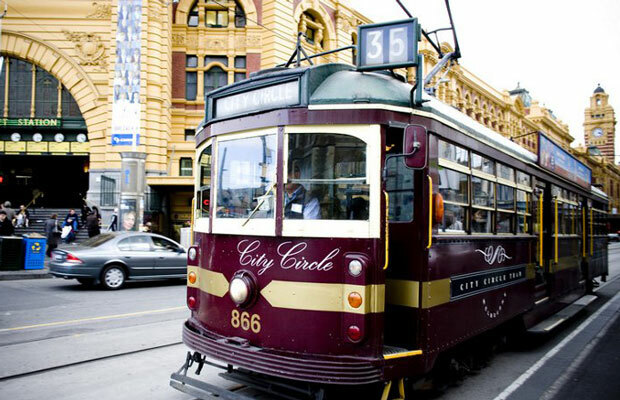 For a free and educational way of traveling the city, hop aboard one of the burgundy and gold City Circle Trams – you'll hear about popular points of interest as you travel along Flinders Street, Harbour Esplanade, and more. Hop off when you see something you want to explore, or take the entire trip, which is about an hour long. Or, see the city from the water on a ferry or water taxi. The Yarra Loop water taxi, which stops at Federation Wharf, Southgate, and more, only costs about $4.50. You might think that because Melbourne is so far south it doesn't have incredible beaches, but you'd be wrong. 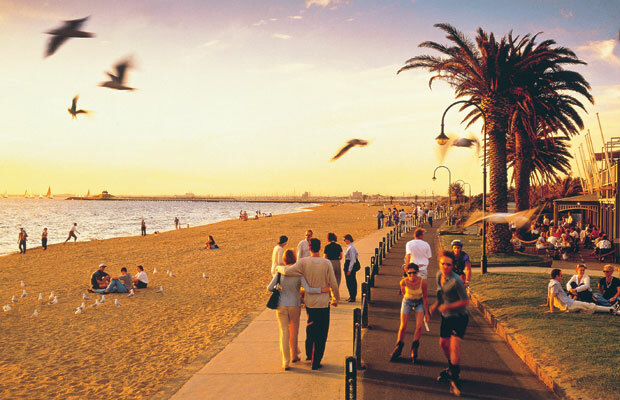 From St. Kilda Beach to Brighton Beach and Port Phillip Bay's Kerford Road beach, there are plenty of places to sunbathe, go for a swim, or hop on a windsurfing board, go sailing, and more. You'll find locals picnicking, barbecuing, walking their dogs (some spots in Middle Park allow for off-leash), or even yachting off-shore. Melbourne is no Milan, but it does have a plethora of both high-end and affordable options. 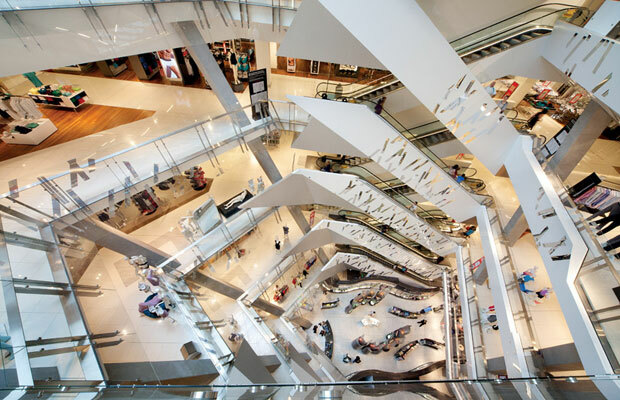 If you're looking for one-stop shops, head to department stores like high-end David Jones and Melbourne's first department store, Myer – they've been staples of the downtown area for more than 100 years. Or, for a glimpse into the past with a modern twist, Melborne's GPO, once a postal hall, now houses some of the hottest Australian and international designers. The building, which was built from 1859–1867, is listed on the Victorian Heritage Register. For a more unique experience, head to Brunswick Street (said to be the Soho of Melbourne) where you'll find high-end boutiques, second-hand shops, and everything in between. If you need a break from shopping, rest for a bit and enjoy a coffee at a small cafe or catch a show if you're there between September 18 to October 6 during the Fringe Festival. Circus, cabaret, and comedy acts line a number of city streets, including Brunswick.